As a winemaker who has worked locally and internationally, for large and small producers, Josephine has introduced a quality, unique and extensive range of wine, for all tastes and budgets. 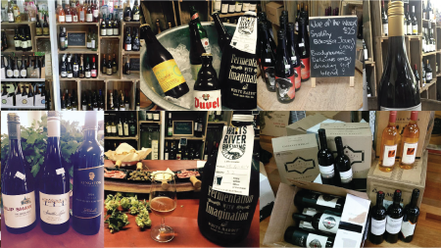 Plus we have a great range of boutique and everyday ciders and beers. Look out for our Wine Advisory coming very soon. 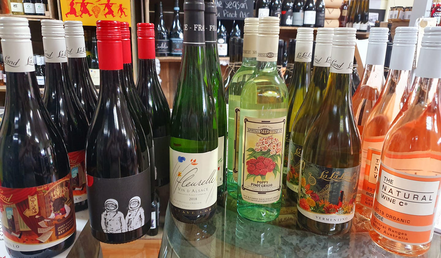 With wine of the week specials and our weekly tastings (see below) there really is something for everyone and something you haven't even tried yet ! We are also very pleased to be collaborating with the Skylark Room - Thanks for the spotlight feature ! The Skylark Room is absolutely thrilled to be in partnership with such a passionate, exciting local business. Together we look forward to enriching Skylark patron's experiences with the absolute best wines we can provide. Come and join us as we introduce you to wines from near and far. (And its not always wines, sometimes we do ciders and beers as well.) Follow us on Facebook to keep up to date with our weekly specials and upcoming events. See below for our upcoming calendar of featured wines, ciders, beers, not forgetting the food.